The boozy, frozen treats include a negroni, a southside and an Aperol spritz. To help Sydneysiders keep cool this summer, the team at Gin Lane has blended boozy, grown-up flavours with a tidy hit of nostalgia for its new line of cocktail-inspired 'soft serves'. 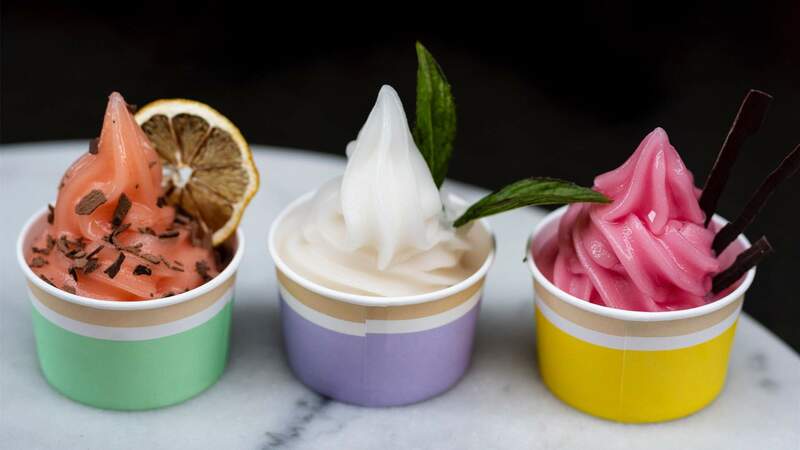 Teaming up with Australia's own soft serve and gelato expert David Lopresti of Aussie frozen treats specialist Florentia, Gin Lane founder and bartender Grant Collins has created four new retro-style treats guaranteed to get a serious workout during the warmer months. Four of these frozen newcomers will be on rotation at the Chippendale gin bar over summer, all crafted on cold-pressed juices with fun garnishes and hefty infusions of alcohol. You'll find a riff on the classic Southside, blending gin with cold-pressed lime, and fresh and candied mint, as well as a cool, creamy revamp of the Singapore Sling — here garnished with honeycomb and chocolate candied orange. 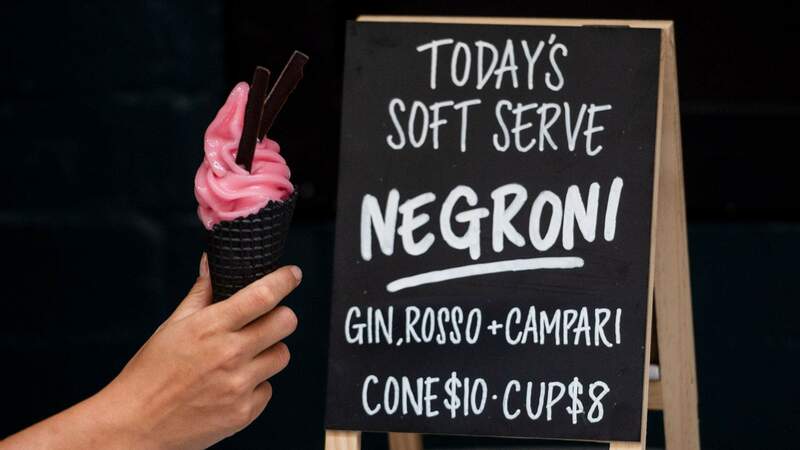 A soft serve negroni features the usual trinity of gin, vermouth and Campari along with cold-pressed lime, candied orange and a chocolate flake, while the reimagined Aperol spritz combines Aperol and prosecco with candied orange and popping candy. Gin Lane's Soft Serve Bar is located at 16 Kensington Street, Chippendale and will open throughout summer from 4–5pm from Monday to Wednesday and 2–4pm from Thursday to Sunday. The soft serves are available in cups ($8) or in classic waffle cones ($10).